They have only lived here for 15 years and this is the first time that We’ve been on this walk. They’ve talked about it often enough, and finally on 1st September She took us rambling around Codnor Reservoir. It’s a circular walk. The Reservoir is there doing it’s stuff (whatever that is), but it also seems to be a place for Fishing. There’s lots of little places for people to set up their rods and stuff. We had to cross a bridge. “So” we hear you say, “what’s wrong with that?” But this bridge wasn’t like any other bridge we’ve crossed. It’s made of silver stuff, like aluminium or something. It had little holes cut into it. 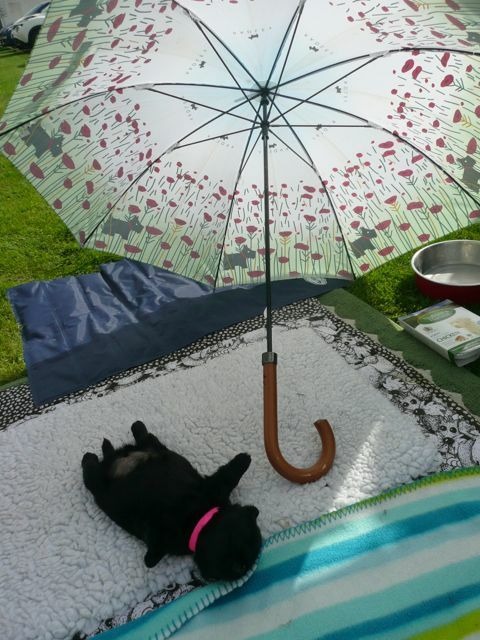 As soon as our paws felt the air beneath them, we virtually ground to a halt! She turned round to see what our problem was and found us “commando crawling” on our bellies! She was walking backwards, laughing at us for crawling and making ourselves as long as possible. We realised how silly we were being just before She remembered the camera! 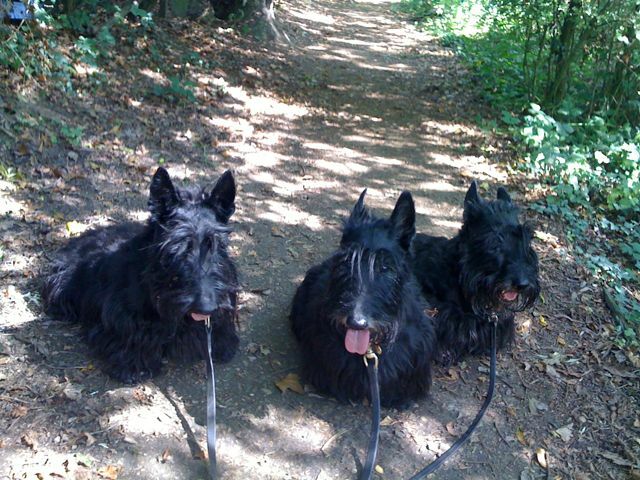 So sorry folks – no pictures of commando crawling scotties this time! Dignity restored, we trotted swiftly on. We saw two adult swans and five cygnets …. yes, five cygnets. There were other ducks as well. One of the swans decided it didn’t like one of the ducks and so chased it away. Well not quite away, but away enough! She had hoped to see the terrapin, basking on his tyre. Apparently he was “set loose” many many years ago and he’s now become legendary! Unfortunately for Her, She didn’t see him, but we heard Her say that we’d keep visiting. She’s been told that he only climbs onto his tyre when it’s very sunny, so she’s hoping for a few more sunny days before the end of the year – fat chance of that! One good thing for us though, She’s decided that we need a New Walk each month – Yap! Yap! That’d be brill.